One of my new goals for next year is to become a lot more organised when it comes to by blog, I want to have scheduled posts sorted and a clear vision of how I want things to look months in advanced.. but to be able to do this, I find it a lot easier to have a diary that I can write in rather than spreadsheets for everything. Don't get me wrong, I love a good spreadsheet but nothing can beat having a place to scribble down my thoughts mid-morning whilst day dreaming of all the things I'd love to post about. So, of course to be able to effectively diary everything I MUST have a lustful diary to write in eh? 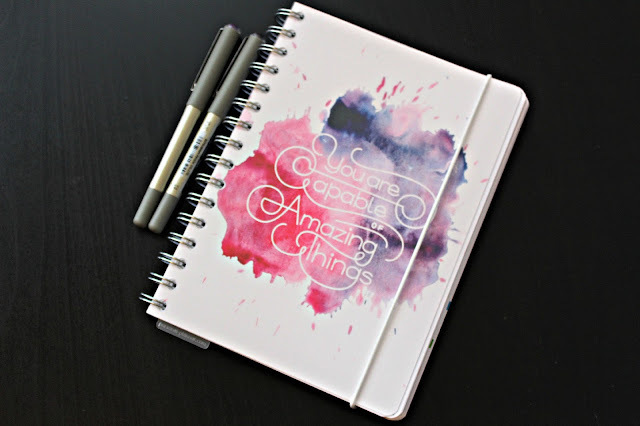 I was introduced to Personal Planner through the CityGirls blogger event in Manchester and thought you all might like to have a peek into my how I have been planning things for the next few weeks along with the other added bits within my Personal Planner. Once you've set up an account on the Personal Planner website you then get on with building your stationary dreams.. you have the choice of products available in a number of different sizes, shapes and layouts; for example, wall planners, notepads and the original planner. 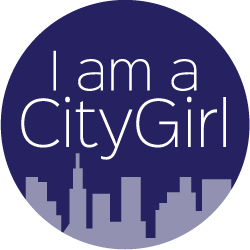 All the templates are adjustable so if you want a specific photo or logo (maybe your blog/company logo?) you have the option to add this right at the beginning of the process. 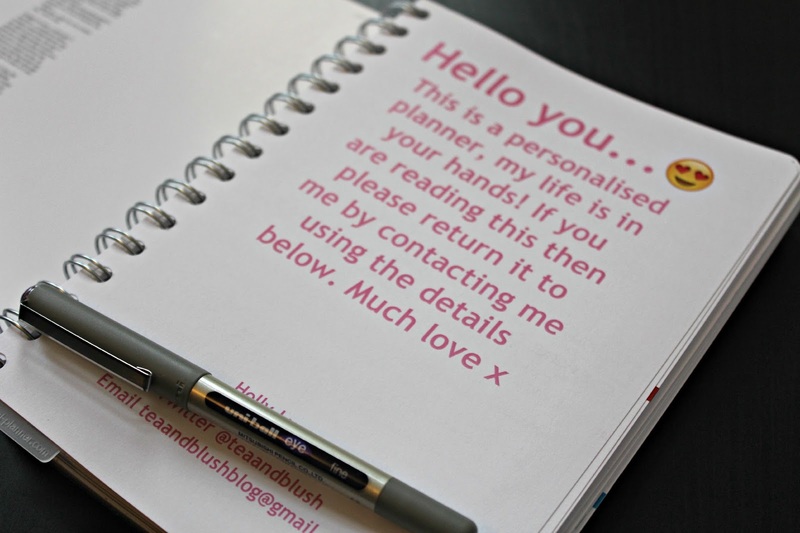 I decided to go for the A5 planner (£22.90) with a pre-prepared design theme by the Personal Planner team. 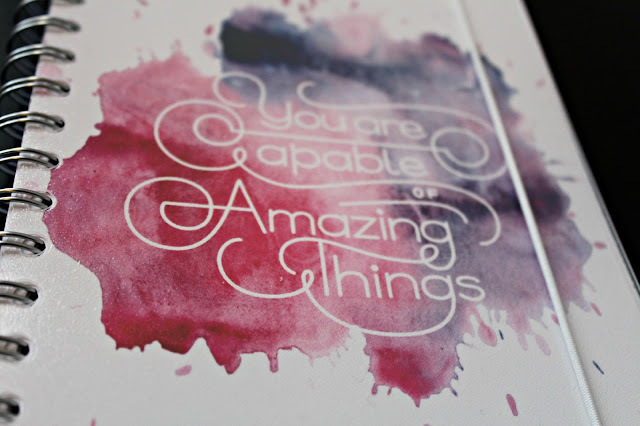 There are 9 pre-prepared planner themes to choose from; I chose this motivational one- I'm very into motivational quotes so this one is perfect to remind me that, yes,actually I am capable of amazing things! 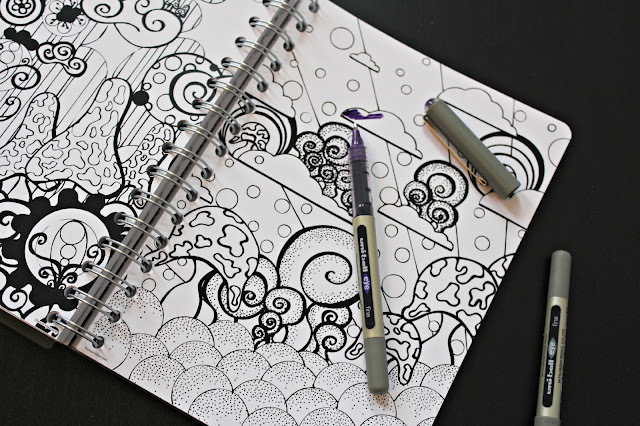 You can also, at this point, select when your planner starts. I selected it to start at the beginning of December as I know that January for me is always quiet and I wanted to get using the planner straight away! After you've chosen your front cover you then move onto the introduction page. This, again, is fully adaptable and you can add as much or as little information as you like. I decided to add a message asking the finder to return my planner to me if lost. I also added my phone number, email address and twitter contact details. As well as typing your message you can also choose to add little emoji's! To Do List- a little space to make a quick note of the boring day to day tasks I need to complete, for example, booking doctors appointments, transferring money between accounts, emails I need to respond to and generally anything else that comes up! This Weeks Dinners- self explanatory really but I've been using this part as more of a dinner inspiration note space. I follow Tasty on Facebook and when scrolling through my feed I see THE most amazing dishes that I want to try out so a make a note of them here. Idea Of The Week/Goal/Art- I'm hugely into goal setting so this box is mainly going to be challenges to myself and points to get me thinking! This week I asked myself whether I could complete Blogmas.. I think I'm doing okay so far! Other options you have are- workout timings,graphs,tunes,exam timetables,preschool timetables or you can just leave this space blank for doodles. Another handy bit on the weekly pages are the ruled blank boxes- in here I have been writing things I need to remember to do or buy and other bits and pieces I need to sort out throughout the next week. Another option I like on the main diary pages are the headers- I went for a simple black header with a white arrow detail but you can get these to match the front cover theme if you like. Once you've planned out all your essential diary pages you then have a number of choices as to how the rest of your planner is filled. I chose for there to be an overview of the year (although I probably wont use this very much),some lined blank pages for random scribbles and lists and then some pages for coloring in! Within each planner you also get a plastic wallet that you can attach into the planner; I find the plastic wallet part handy as it means that I can store my prescriptions,receipts and money off vouchers in here so they are easy to find. The back page of the planner is matching to the front cover and you also get a detachable ruler that you can pop into the planner to mark which week you are on for quick navigation. 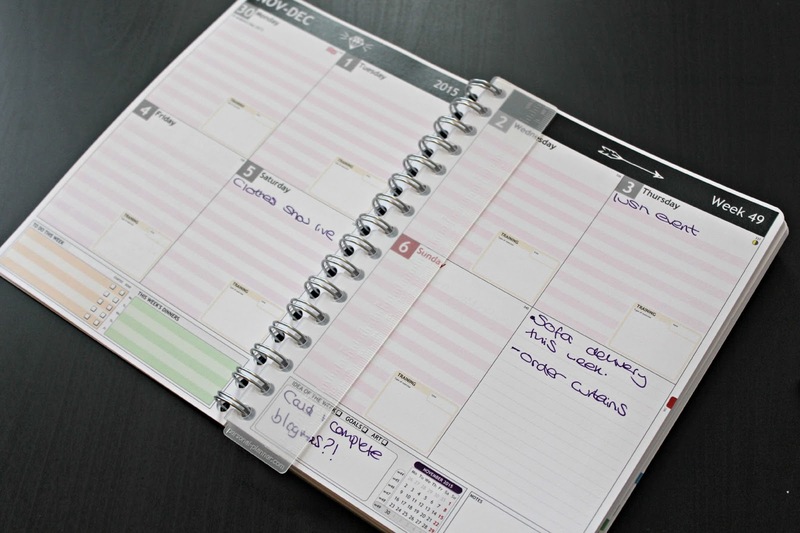 When selecting the additional options for your planner you also get to choose the color of the elastic closure bit to keep all of the pages together whilst in your handbag. Personal Planner also have a few stationary bits in their shop that you can add to the order, for example, pens, leather covers,extra rulers and plastic wallets and finally gift cards.If you have any stationary lovers you need gifts for you can send them a gift card and they can design their own planner in their style just how they want it. If you want to have a try at designing your own Personal Planner check out the website here. If you'd like to order a Personal Planner as a gift for xmas you need to make your order by 6th December to guarantee delivery. Have you got your 2016 planner ready? 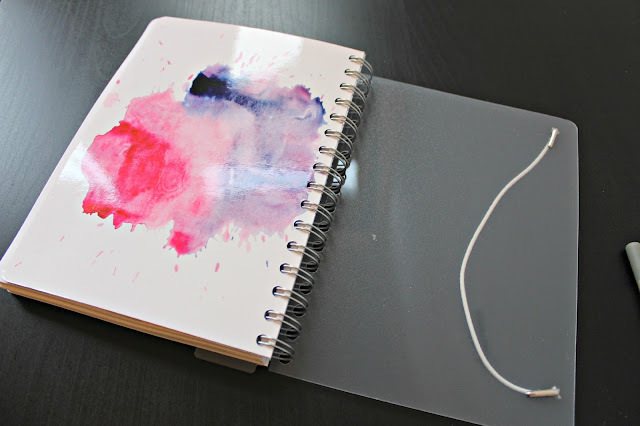 Oh my, this planner is gorgeous!! I tend to just use a diary, I may need to up my game! Our planner had done an event at our venue last year, and we knew that their experience would be nearly invaluable to our event. We worked with their event coordinator, who totally delivered on what we had hoped for!